The “Christians” were not successful in their effort to free the Holy Land from the infidel Moslems. Why? Perhaps the motivation was wrong. Were they fighting on behalf of God’s chosen people, the Jews, or the Catholic Church of that day, which was at least as political as it was spiritual? Apparently there was quite a bit of anti-Semitism on the part of the crusaders. Where did the crusaders get the idea that once you conquered a city you go in and kill everyone: Moslems , Jews and fellow Christians? It happened time and again. It is often misunderstood that there were other motivations behind the crusaders. The promise of riches, prestige, conquest of lands flowing with milk and honey, and a get out of jail free card from the Pope (a guarantee of salvation, issued by the Pope for fighting in the crusades), were some of the incentives. To many of the individual crusaders, it was a spiritual fight that they believed would purify their souls of sin. In those days, the Catholic Church did not advocate a personal relationship with Christ, but rather a personal relationship with the church which controlled your relationship with God. Years later Martin Luther railed against that. The church, in those days, was overwhelmed by the fact that sin in our lives was everywhere. The fact is that it was, and still is. Sin should, however, be viewed in its proper perspective: under the subjection to the power of Christ to overcome sin and defeat it. You don’t overcome sin by something you do, but rather by what Christ did for you. In 2012 a new Al Qaeda magazine, “Inspire”, has stated that with the deaths of Anwar al-Awiaki and Samir Khan (who started the magazine), the publication was able to continue without the two. They said that the Zionists and the Crusaders (their name for Christians) would be taught a lesson by this. Both sides fought in the “name of God”. The city of Jerusalem was the dwelling place of God among the Jews because the Temple was there (and He claimed it as His own). The Moslems thought it to be the place where Mohammad ascended to heaven. According to some Islamic scholars, ‘the Dome of The Rock’ is the spot from which Muhammad ascended to Heaven accompanied by the angel Gabriel. It is said that Muhammad was taken there by Gabriel to pray with Abraham, Moses, and Jesus. In the seventh century Jerusalem was conquered in an attempt, by the new religion of Islam, to conquer the world for the pagan god they called Allah. Mohammad died in 632 and was buried in a tomb under the Green Dome of Al-Masjid al-Nabawi in Medina, Hejaz, Saudi Arabia. Perhaps if the crusaders had joined with the Jews and approached God in His way, they would have been victorious and the world would have been a lot different. As you may have noticed, some of what I have written here is opinion on my part. I pray that, what I have determined as my opinion, lines up with the Word and will of God. I leave it to the reader to determine what is truth and what is opinion based on truth of study. As it has turned out, it took almost a thousand more years for God (in His own timing) to liberate Jerusalem from the infidel. 1967 was the year God, in His wisdom, chose to do this. Jerusalem was never meant to be a Christian city, as Christianity is only one sect of Judaism. It is the heart and soul of the Jewish people. When Christ returns, He will not set up Jerusalem as a Christian city, but rather as the headquarters for His millennium reign. As we can see, from the above, God was not the sponsor of the crusades any more than He was of the Spanish Inquisition. They were both plans and actions developed by men using the name of God to justify their own desires. They either forgot or ignored the Bible lessons of seek first the kingdom of God, and to love your enemies into submission. Just as the Hebrew people, time and time again, sinned against God by turning to their own ways, the crusaders did not make sure they were in the will of God. The crusades were an attempt to take back the lands taken from the Christians by Islamic armies, resulting in the retention of our western civilization. It was in reality a war against foreign conquest. There were about two thousand people killed for heresy against the Roman Catholic Church in the Inquisition. This was over a period of three hundred fifty years, so we see that it wasn’t the blood bath that is currently supposed. These were both attempts by man to grab God by the beard and drag Him off on a tangent. 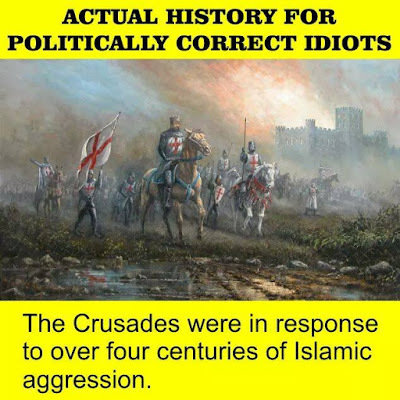 There are those who think the crusades, in one way or another, are still being fought. The radical Moslems, such as those in charge of Iran, not only want to conquer Jerusalem but in addition eliminate all Christians and Jews. 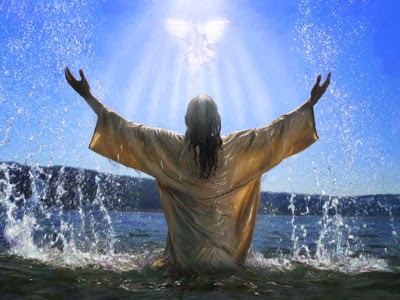 True Christians want to peacefully convert as many Moslems as possible, to a personal relationship with the Christ of the Bible in order to keep them from going to Hell. Some Moslems are willing to kill at the slightest provocation, while Christians are willing to pray for their salvation. I leave it to you to decide which ‘the religion of peace’ is.